Getting kids to snack is never hard to do. Finding healthy snacks for kids is the difficult part. 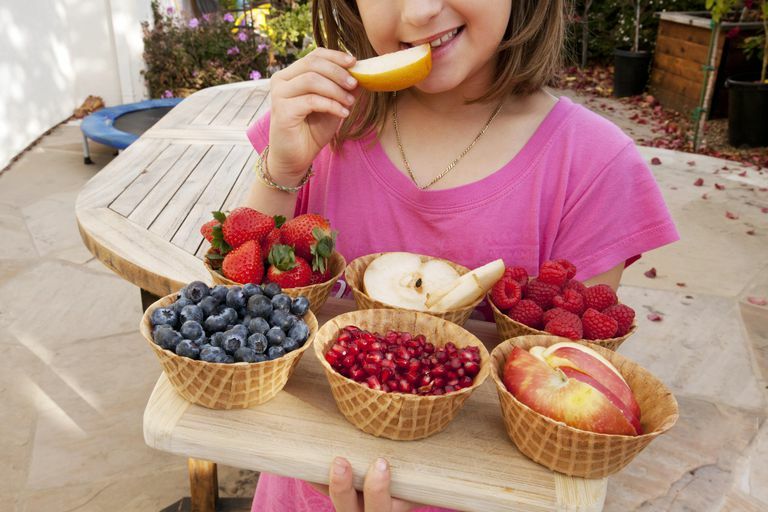 If your tween is always looking for something to munch on, consider these snacks for kids of all ages. They're great for after-school snacking, summer snacking, weekend snacking, or anytime snacking. And they're loaded with the nutrients your child's body needs, rather than the preservatives and added ingredients you'll find in most processed, ready-to-eat foods. Whole-grain cereal (Cheerios, Wheat Chex, Shredded Wheat) served with 1/2 cup of skim milk, topped with fruit. Toss chopped pecans, raisins or Craisins into cooked instant oatmeal, add a dash of milk or cream. Sprinkle shredded cheese over a corn tortilla, microwave for about 15 seconds and top with salsa. Make a mini-pizza by toasting an English muffin and topping with pizza sauce, and shredded cheese. Leftovers can sometimes be the healthiest snack of all, especially if it was a healthy meal, to begin with.